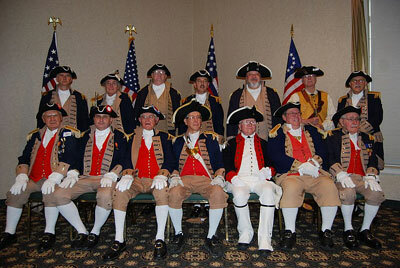 Pictured here is the MOSSAR and KSSSAR Color Guard Team taken at the 24th Annual George Washington Birthday Celebration in Overland Park, KS on February 20, 2010. 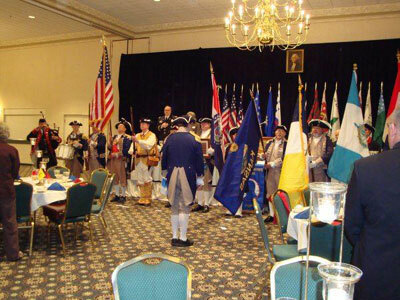 Left Photo: Pictured here is the MOSSAR and KSSSAR Color Guard Team during the Presentation of the Colors taken at the 24th Annual George Washington Birthday Celebration in Overland Park, KS on February 20, 2010. GWBC Color Commander Dirk A. Stapleton and the GWBC Color Guard is shown here during the opening ceremony. Right Photo: Compatriot Dirk A. Stapleton, GWBC Color Guard Commander, and the the MOSSAR and KSSSAR Color Guard Team, taken at the 24th Annual George Washington Birthday Celebration in Overland Park, KS on February 20, 2010. Compatriot Not pictured: Jesse Lybarber. Right Photo (Back Row)(L-R): The KSSSAR Color Guard team is shown here with Compatriot Richard Cox, Compatriot Fred Kaffenberger, Compatriot Lyman Miller, Compatriot Sheldon Vazquez, Major General Bob Capps, KSSSAR Color Guard Commander, Compatriot Phil Barbour, and Compatriot Martin Klotzbach.